Most people would be disappointed that they receive a three star rating in itunes, however we are not those people we embrace it. 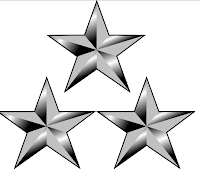 Recently, someone gave our show three stars and cited that we lack direction. We totally agree our show it about having fun and we have no clue what we are going to say when the microphone is on, it's a crap shoot each recording. So for the fans that enjoy our lack of direction we say thank you and for those that don't we thank them also. After all that we hope you enjoy this episode and we will be back again next week. hey guys. r u ever gonna make the shows enhanced w/ chapters again?